In March 2015 a procession of women from Glasgow and beyond gathered at Glasgow Women’s Library to march through the streets of Bridgeton to celebrate the achievements of women past and present. This dramatic intervention took its inspiration from A Pageant of Great Women by Cicely Hamilton, written 100 years ago. Over a hundred women from all walks of life across Scotland took part, and the event was documented – the film of the event, March, premiered at GWL in September 2015, and is now available on DVD. Through a series of interviews with a wide variety of women taking part in the performance and march, the film considers the gap in documenting women’s history, and points to the resounding importance of having a female generation to both honour and draw inspiration from. It follows the process of the plays development within a community of Scottish women from boat builders, to students, librarians and politicians, as they work together towards the final event on March 7 2015. The film gives a lingering insight into some of political and social experiences of women in Scotland today, and invites testament to the tremendous power of a collective voice, and the surprising resonance of a play written over a century ago with our contemporary society. A DVD screener is available from Glasgow Women’s Library. Contact us on 0141 550 2267 or email info@womenslibrary.org.uk for more information. 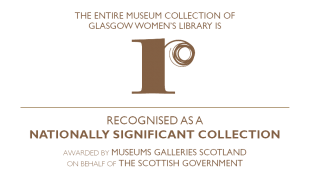 This project is supported by Creative Scotland and is a partnership between the Royal Conservatoire of Scotland and Glasgow Women’s Library.